Webbased calendars are accesible everywhere. Google is one of the best webcalendars available, but I already use Outlook as my agenda and Outlook is fine because of the integration with contacts and Outlook mail. It’s possible to export data from Google through iCal, but I want it automated. RemoteCalendars comes to the rescue. 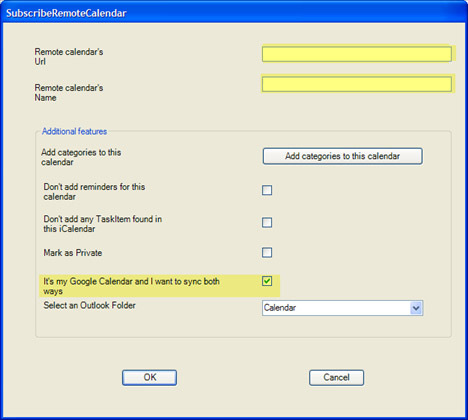 But how to use RemoteCalenders to synchronize Google Calendar and Outlook? Here’s howto. 1) Download RemoteCalendars and unzip the files. 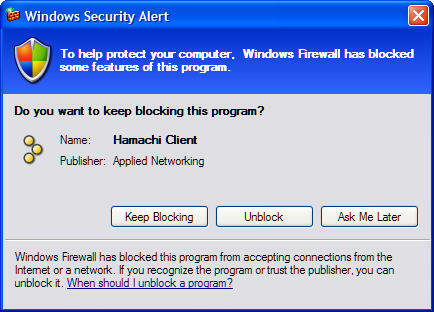 Install NET Framework 2.0 unless you already have it. In the Prerequisites folder of your RemoteCalendar install, unpack the O2003PIA.EXE files and install O2003PIA.MSI. Install RemoteCalendarsVSTOSetup.msi from the main RemoteCalendar folder. 4) Click the Options button on the toolbar to bring up the menu options. Set the timezone to your timezone so that all items stay in sync. Optionally check the Automatic Update box to update Outlook every time you start it up. 5) Click the “Subscribe a RemoteCalendar” button to add your Google Calendar to Outlook. 6) Copy the iCal URL for your calendar’s Private Address from the Calendar Settings page. 8) Input the username and password for your Google Calendar when prompted.